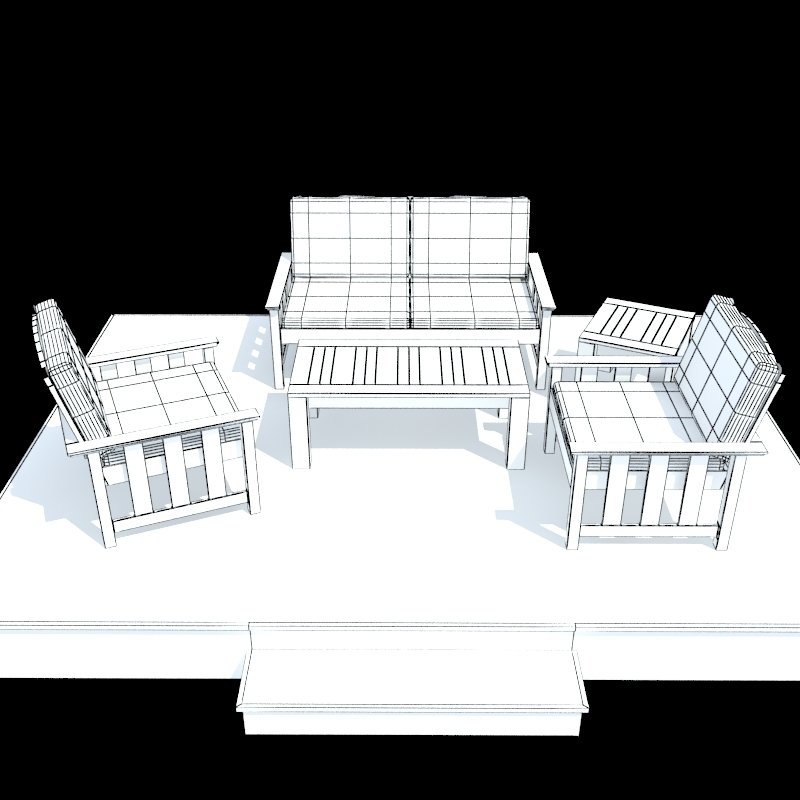 This is a medium detailed model of a sofa set for outdoor, ready to drop into any scene or be used as a stand-alone prop. 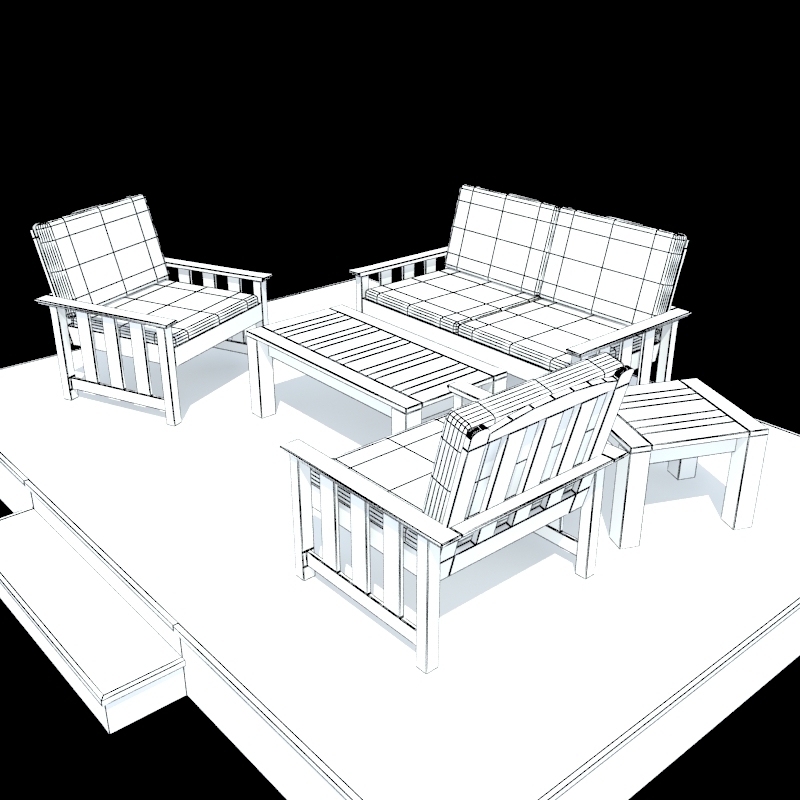 This model will make Visualization “alive” due to realism and attention to all details. 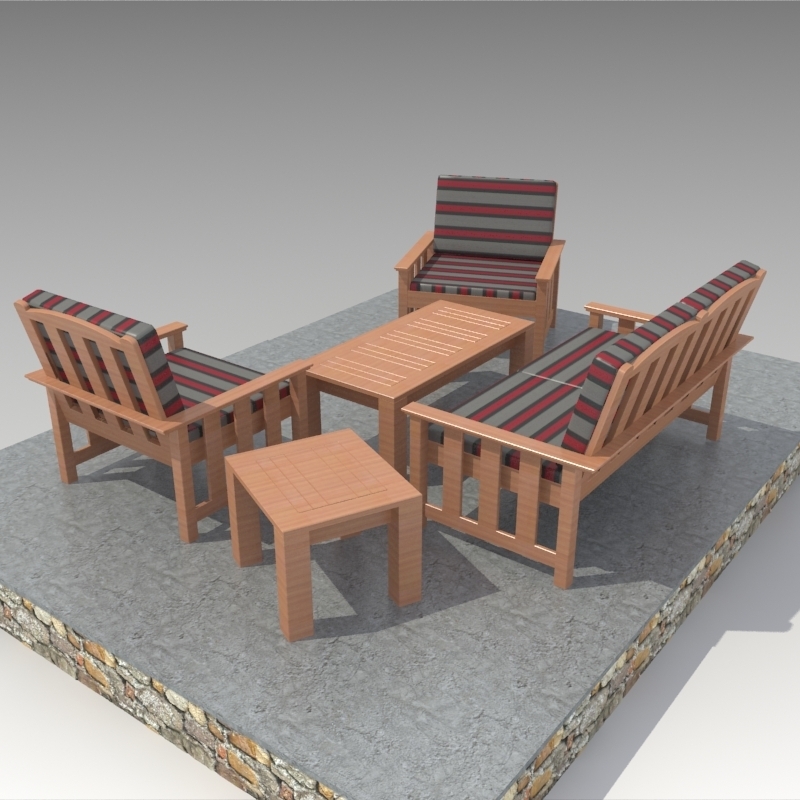 Originally modeled at 3ds Max 2009 sp1. 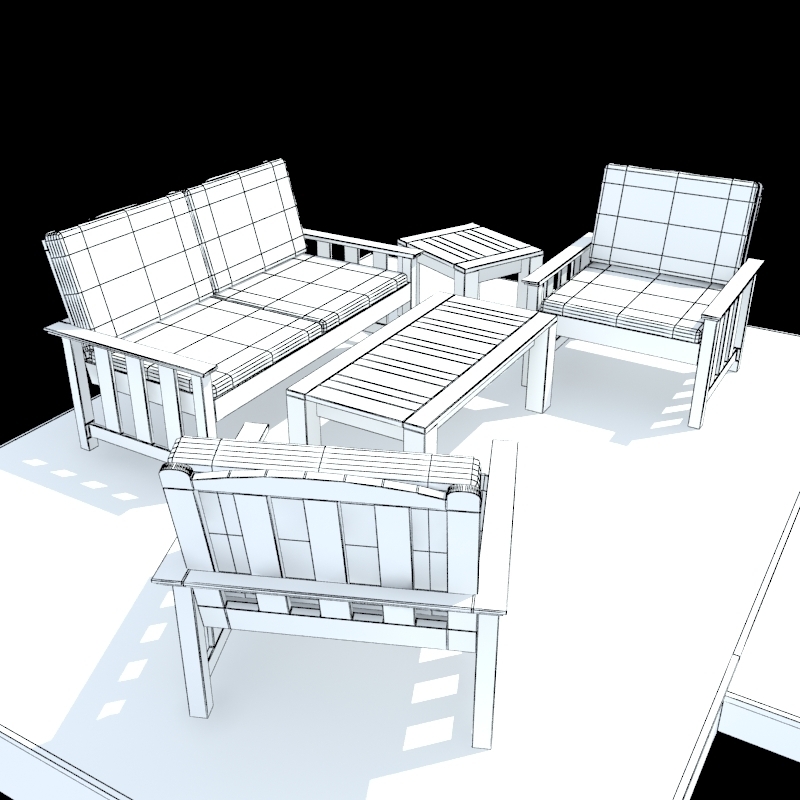 Final images rendered with VRay 1.5sp2 There is no post-production at renders above. 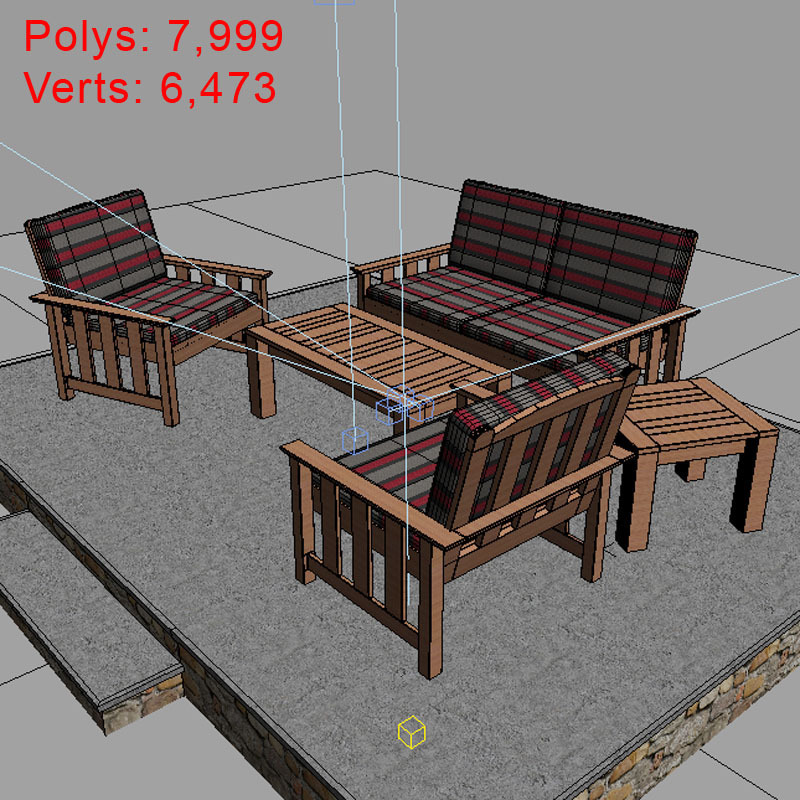 Material setup is included only in the V-Ray version, as per the preview images. Carefully detailed and cleanly structured objects. 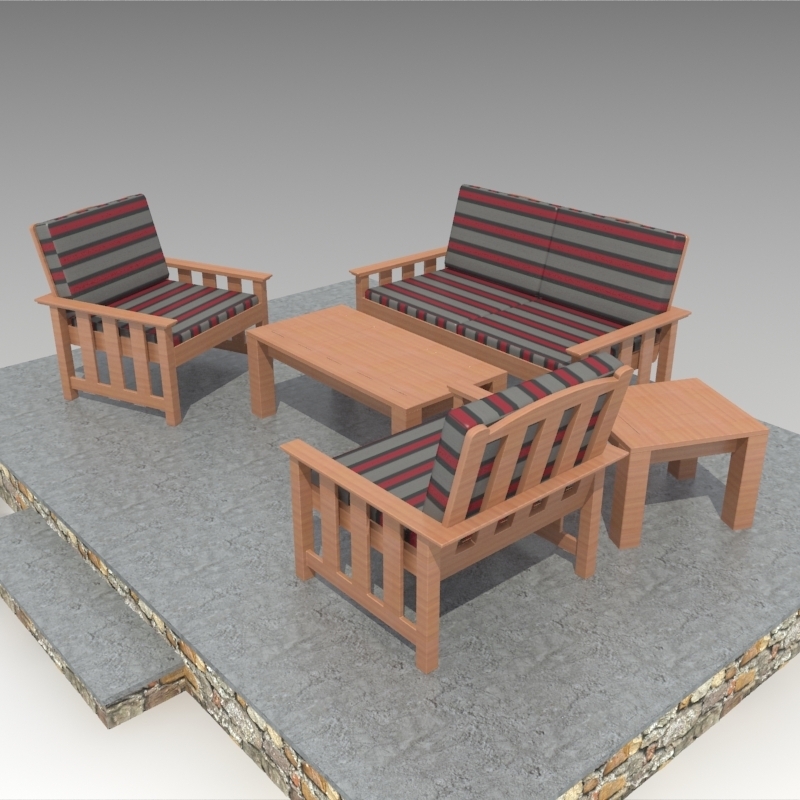 Fully detailed – texture maps. Real world scale and exact proportions. Multiple file formats including 3ds Max scanline version. 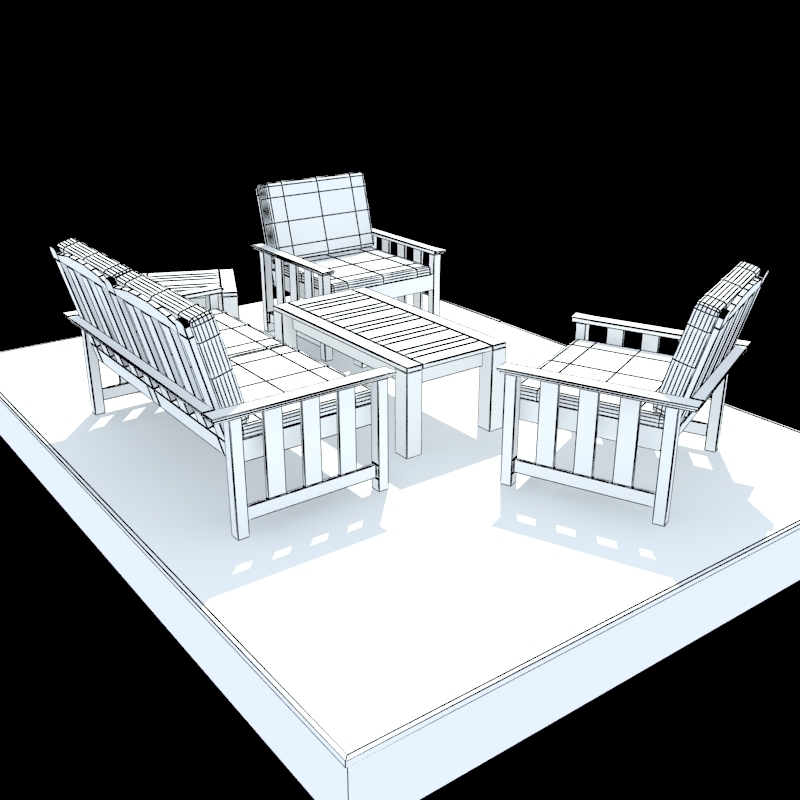 Studio setup is included with light and camera settings only in vray scene file. 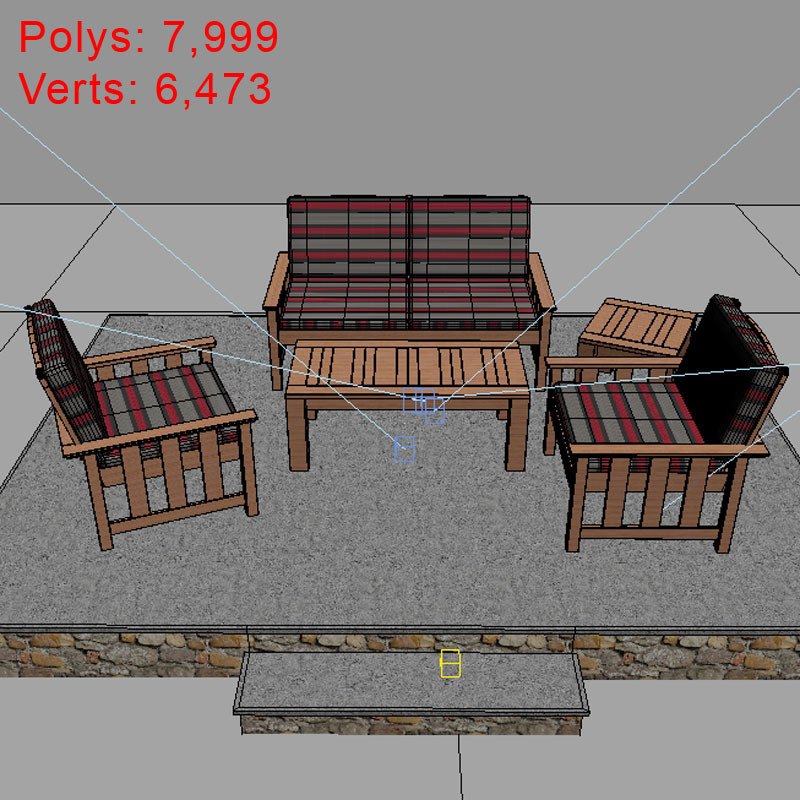 ‘SMOOTH MODIFIER’ and ‘UVW MAPPING’ options are not collapse in the scene file. 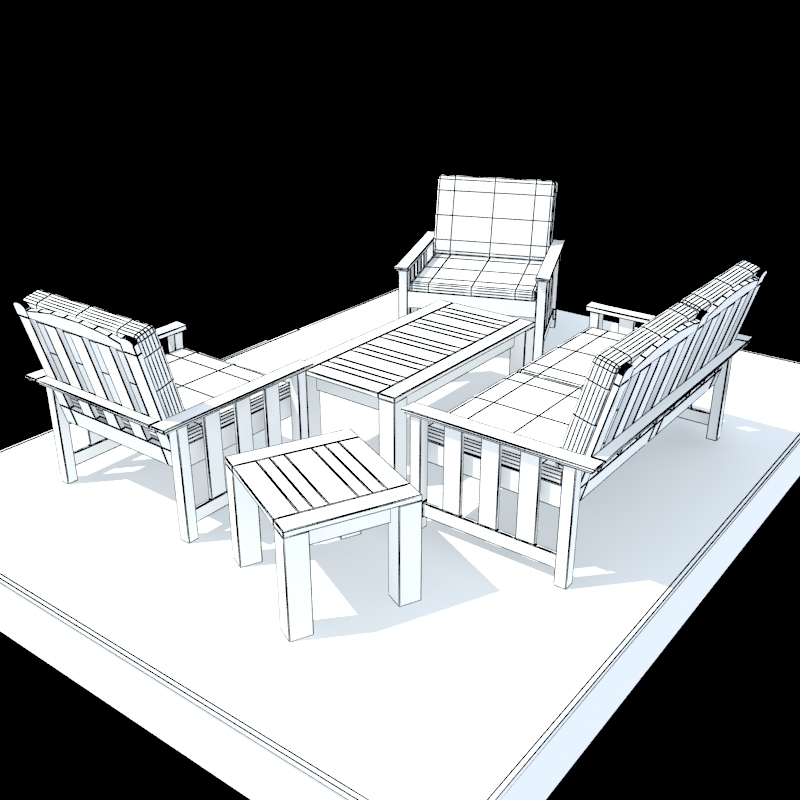 Professional quality model designed for ease of use – No cleaning up necessary, just drop your model into the scene and start rendering. UV’s & textures fully applied. 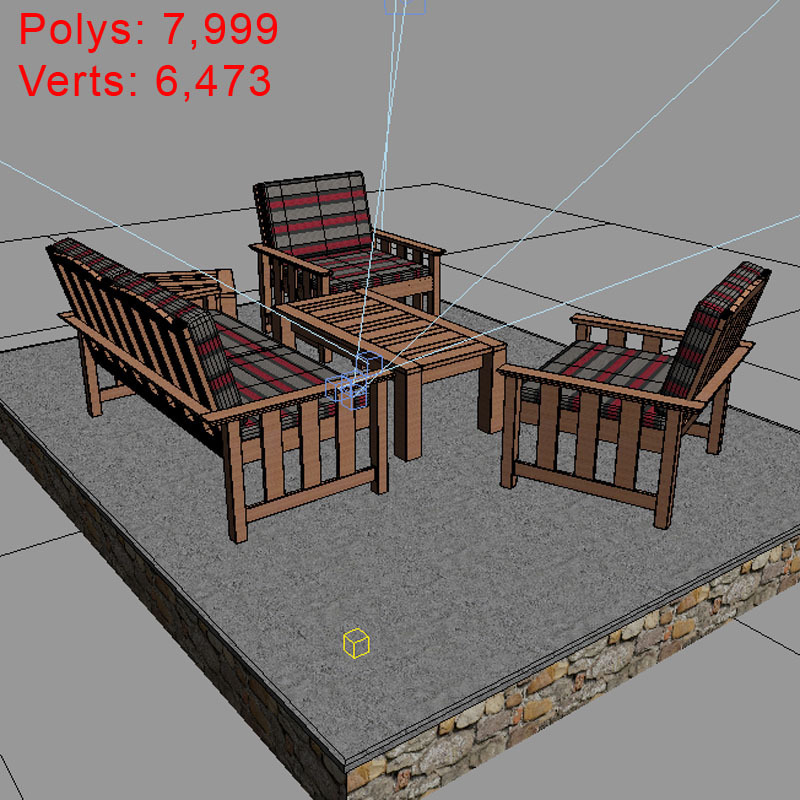 Carefully modeled polygonal structure using mostly quads. 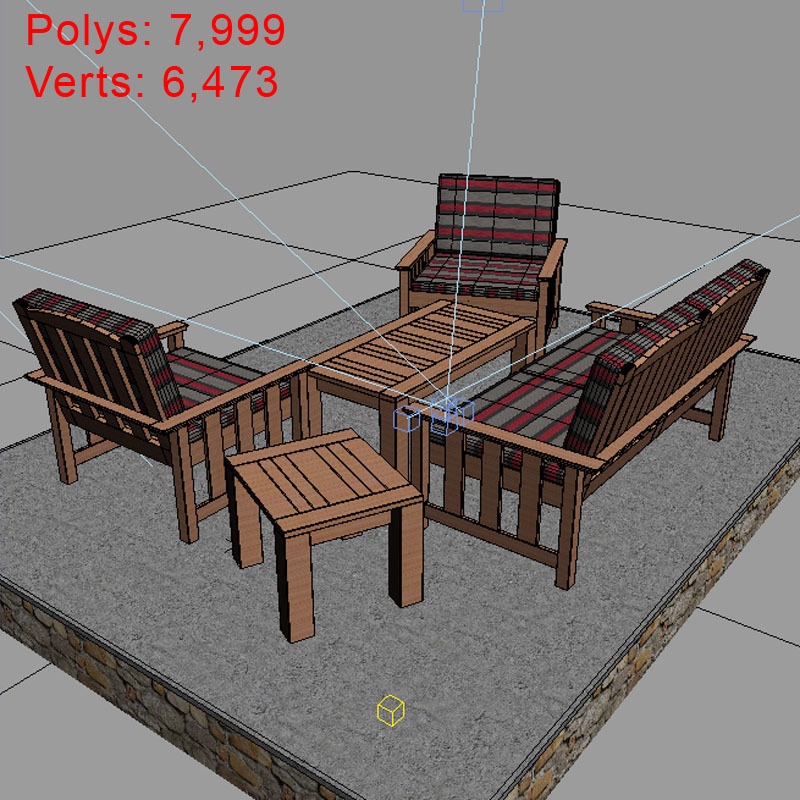 Easy scene management – 3ds Max models grouped or attached for easy selection & objects are default named. 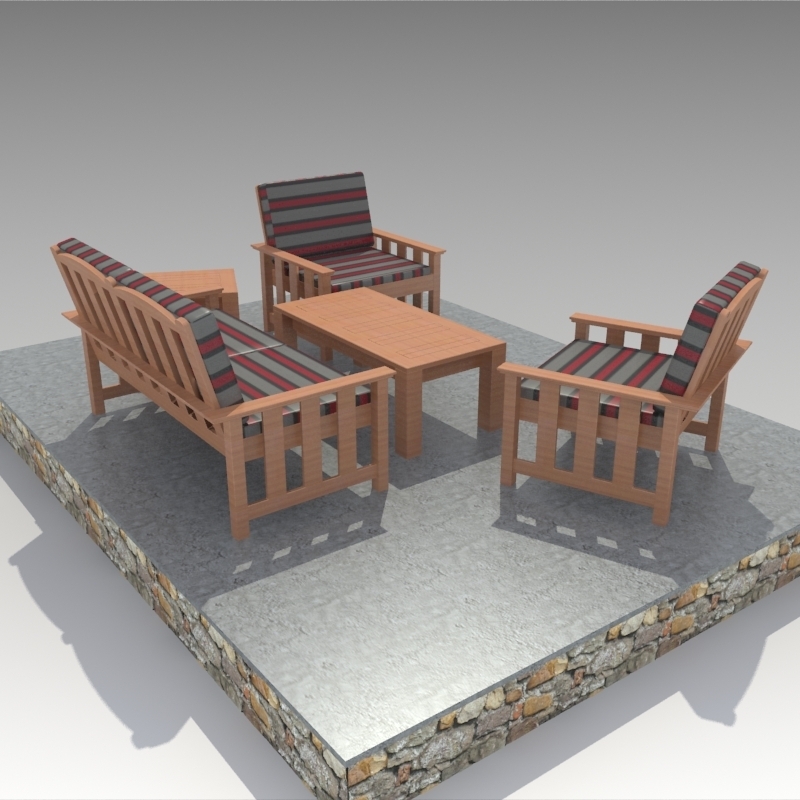 Native file is 3ds Max 2009 sp1(.max) Renders with V-Ray render engine. 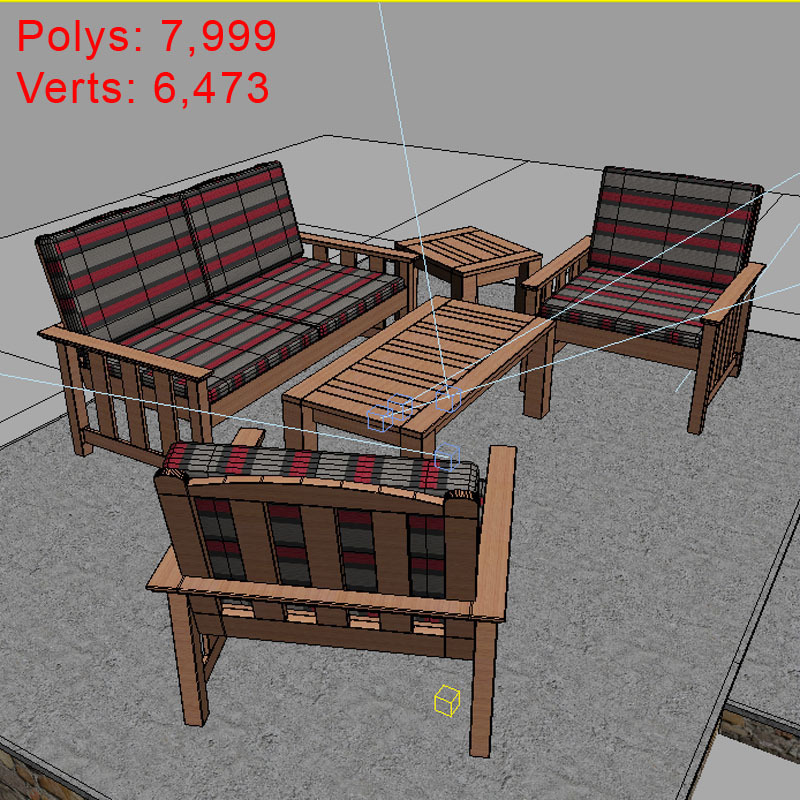 3ds, OBJ, Fbx formats were converted from the (.MAX) file. 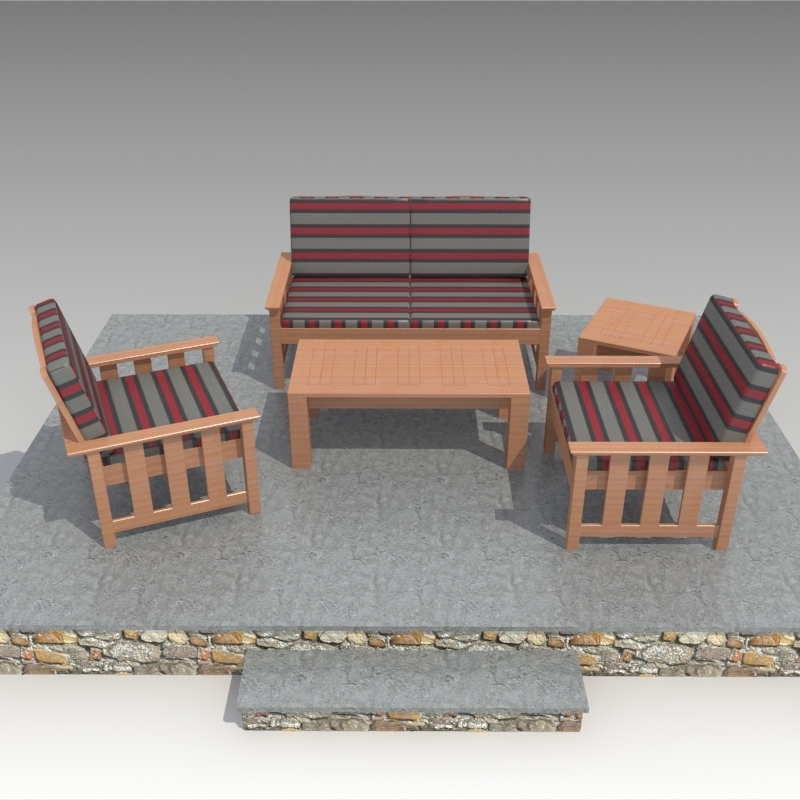 I invite to see my other professional 3d models, just press on my user name at the top of the page to see full gallery. If You like this model, please leave Your best feedback. 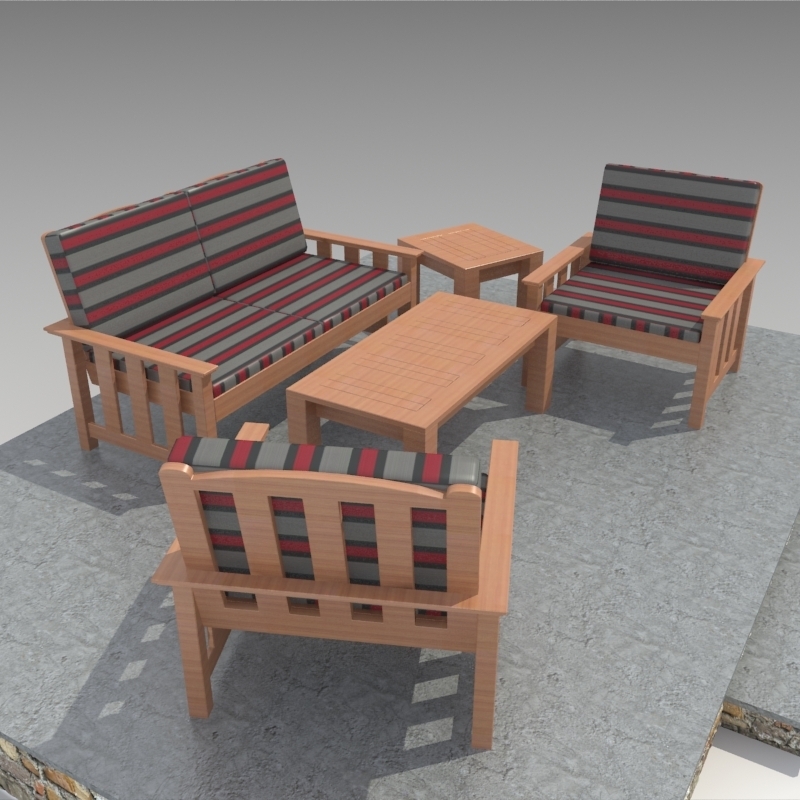 Stay in touch with me for new 3d models.